I came across this article written by SavvyBlogging regarding Blogging and Taxes. 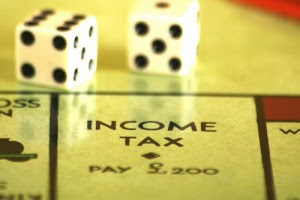 Tax time being around the corner, I thought this was a great article to share with you. Blogging to society is considered a "hobby" until money is involved and then Uncle Sam wants his piece of the pie. So making sure that follow the correct tax guidelines here are the very informative articles from SavvyBlogging. Disclaimer:This article and links are credited to Savvy Blogging.These are just links and suggestions for your personal tax expert. Neither Savvy Blogging not Fashion Without Guilt is claiming any knowledge of tax or government related activities.